Are you starving yet? If so try to add more whole grains into your day. Brown rice, quinoa, couscous, etc. 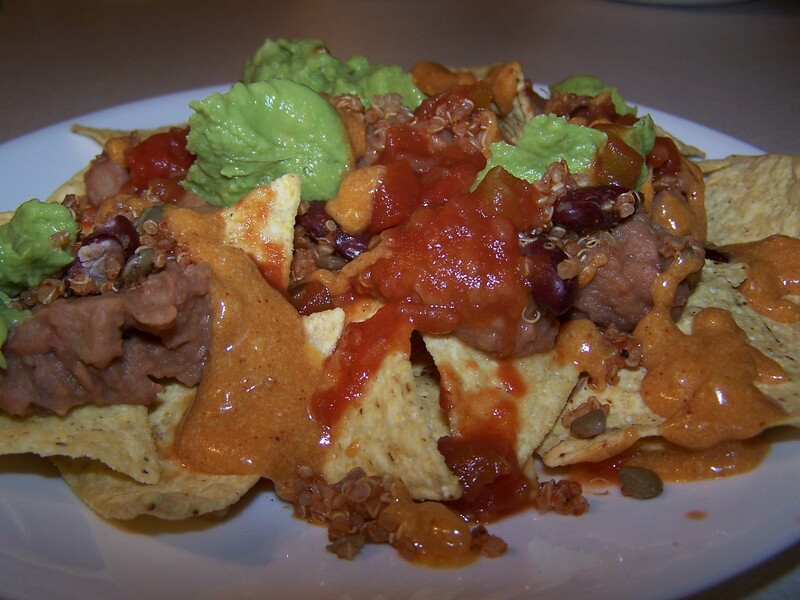 will help you feel full longer and provide much needed protein. Yes, you can get all the protein you need on a plant based diet. This is a quick breakfast that is easy to make. You may be wondering why I’m tempting you with a bagel and toast if you can’t have cream cheese or butter. Nut butters provide a delicious spread for bagels and toast. You don’t have to get bored with peanut butter, you can try almond butter, or cashew butter. 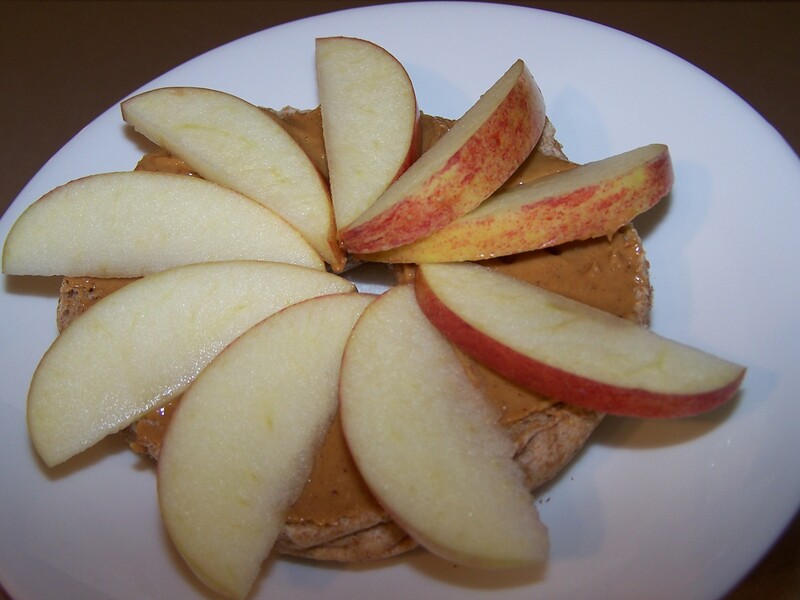 One of my favorite treats is to top toast with almond butter and a sliced apple. This faux-cheese sauce is non-dairy and taste great. The linked recipe is for Mac and Cheese so disregard the noodles, otherwise follow the recipe as stated. I don’t have the miso the recipe calls for so I always leave it out. You may be wondering “what is nutritional yeast and where do I get it?” Click here to find out more about nutritional yeast. I found it at my local Fresh & Easy store in the baking section. Nutritional yeast taste great sprinkled on baked potatoes. If your concerned that this is not real cheese just think back to all of the other times you ate fake cheese, cheese in a can or Velveeta anyone? This faux-cheese sauce is good for you unlike those I just mentioned. You can also by cheese made from plant milk. Soup photo by Melodee Fiske of mlfotography. This soup is a great way to warm up on a cool day. You can use any veggies you have on hand. Once carrots and potatoes become tender add broccoli and spices to taste. The soup is ready to eat as is. For a more savory soup add 1/4 cup of plant milk and 1 Tbsp of nutritional yeast. This soup is great with a whole grain dinner roll and a side salad.